Learn how to require your users to categorize transactions and upload a receipt. After you log into Divvy click the settings tab, and then click on the custom field that you wish to make mandatory. 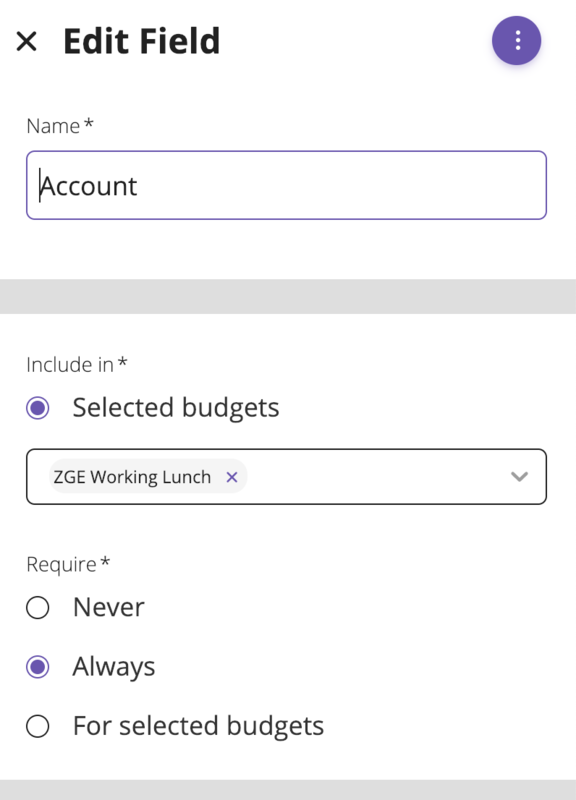 Remember, this custom field will only apply to the budgets you have selected. Require receipts globally (all the time). Require for selected budgets. (you will be prompted to selected a budget.). Choose what's appropriate for your company policy. Once you hit confirm refresh your page to make sure the change has taken place.